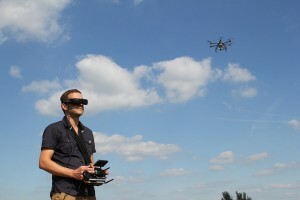 With drone development advancing at a near exponential rate, the legal and social landscape is struggling to keep up. So much so, municipalities are starting to prosecute unsanctioned UAV use, and companies are rapidly developing anti-drone technologies. Has this popular product gone from a fun tool and toy to technological terror? First and foremost, it’s the legal challenge that drone developers and enthusiasts have to overcome. Already we’ve talked at length about new FAA rules, and even local regulations of no-fly zones around parks and areas where people congregate. But now municipalities are getting even more strict with where UAV operators can fly and word is coming down that in the near future, criminal prosecutions will be likely for breaking these regulations. 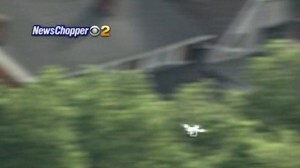 In a story from the Hollywood Reporter about the Producers Guild of America annual Produced By Conference, insurance managing director Christie Mattull warned that any drone operator who uses a camera is in danger or civil and criminal penalties if they aren’t up to speed on rules, including maintaining proper insurance certification. The cost of insurance isn’t cheap either, if you can get it at all. With estimates of at least $5,000 a day for a waiver and the requirement of three people to operate a UAV and camera, and some insurance companies are considering flat out denying coverage to home owners who fly one. So anyone who tries to go on the cheap will certainly attract notice by the authorities. The second challenge facing UAV operators is the arms race that is developing around so-called anti-drone technologies. Ranging from electronic ‘shotguns’ that send out an electromagnetic pulse, to one that fires a net to catch and drop any unwanted UAV, anti-drone technologies are being refined at almost as fast a pace as the UAVs themselves. Driven by the hundreds of reports to the FAA at airports, there are companies are creating an Anti-UAV Defense System that is being tested. Two U.S. companies, Gryphon Sensors LLC and Sensofusion, and a group of British companies are behind the effort, and are working on a system that will jam the control signals to the UAVe and cause it to crash. I’m sorry, isn’t taking control away from the operator a bad thing, especially around an airport? I’ve seen a drone lose control from its operator and simply fly away in a random direction, and I’m not sure that is a good thing. I prefer the Battelle Drone Defender, which can literally take control of an unwanted drone from a range of 400 meters (those flying in restricted areas, of course), and force it to the ground with a directed RF energy burst. Then, when the operator comes to retrieve his wayward bird, you’re there to put the cuffs on. Another is the Flex Force Dronebuster, which exploits the fly home feature of most drones by firing a series of commands until it triggers the automatic fly home sequence. This way, it sends it back the way it came, in a safe and controlled fashion. Now that’s how you do it, and authorities can follow the drone back to the operator and have a few questions for him. Even Disney is getting into the anti-drone effort, enforcing a no-fly zone around the set of Star Wars: Episode VIII. With their own fleet of drones and an army of hundreds of security guards to deploy them, Lucasfilm has legal sanction to enforce their no-drone policy and to press charges on any drone operator who breaches it to get spoiler shots. The bottom line is, that as the world relies more on unmanned aerial vehicles, the more there is pushback against them. And the more that government is going to get involved to regulate things. So, keep following the rules and registering your drones, have the proper certifications and insurance, and flying safe, is the surest way to keep your bird in the air. Just. Play. Nice.